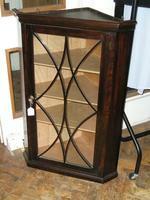 An outstanding selection of practical and decorative Antique Furniture. Up to forty items on display including 18th and 19th century chests of drawers, tables, beds, dressers and wardrobes, in mahogany, oak, walnut and antique pine. We also offer a 'made to measure' service producing items of furniture of all types (especially tables) in pine and oak to complement antique or more contemporary furniture. or by email at quietwomanantiq@aol.com. We stock a selection of the popular "Penny Pine " plate racks in different sizes. The racks are new made but have an attractive period appearance and offer a solution to the draining and storage of plates,bowls cups etc. From ?45 upwards. Models not in stock can be ordered for you.